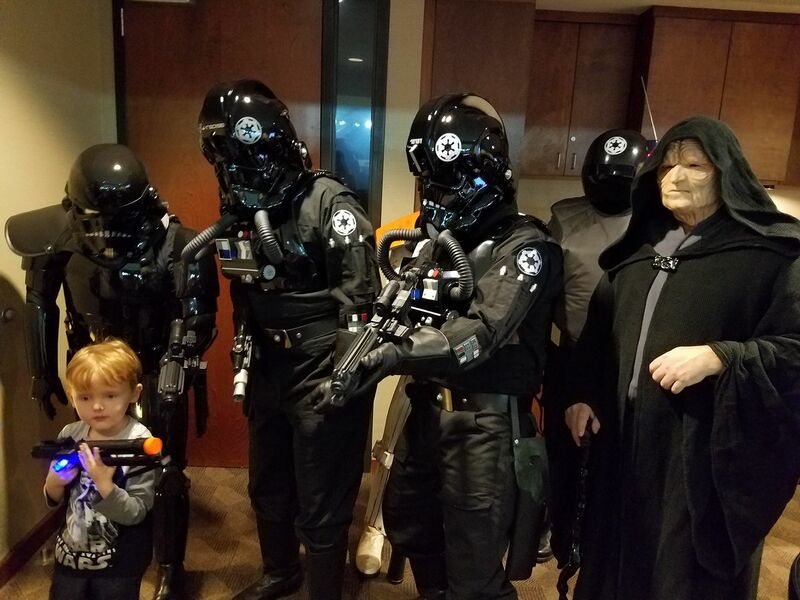 The Georgia Garrison of the 501st Legion is no stranger to doing good deeds in our community – we’re internationally known as The Bad Guys Doing Good. 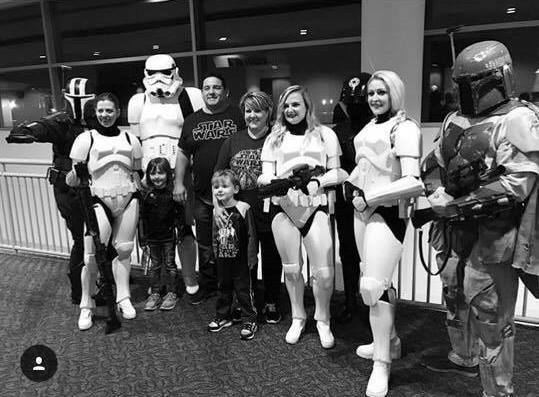 An unusual set of circumstances resulted in a heartwarming story for a special family at the Atlanta Gladiators Star Wars Night. It all started with one of our regular hospital visits and an Instagram post. The first week of February, our members made our monthly visit to Scottish Rite at Children’s Healthcare of Atlanta. These visits are an opportunity to interact with children and their families, putting smiles on their faces during what can be a very difficult time. 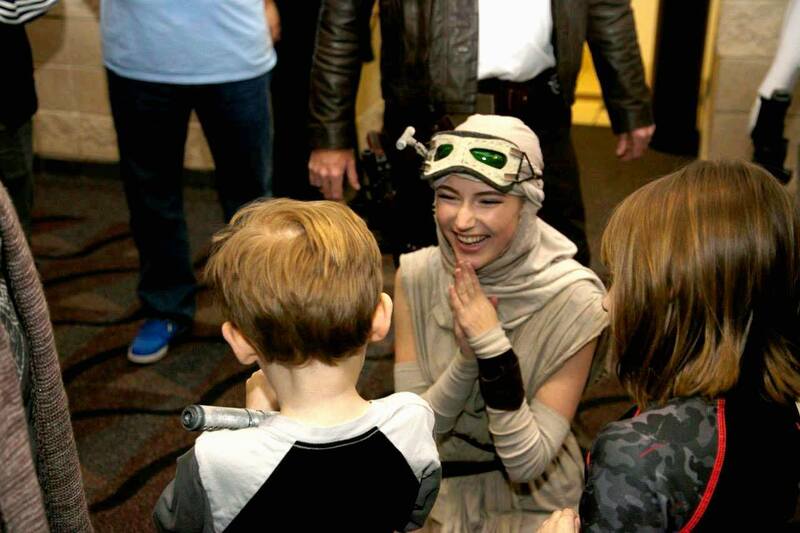 At one such visit, 501st Legion member Kathleen Campbell (TK-30328) spent time getting to know a boy named Zachary. He was recently diagnosed with an inoperable brain tumor, and could use some cheering up. 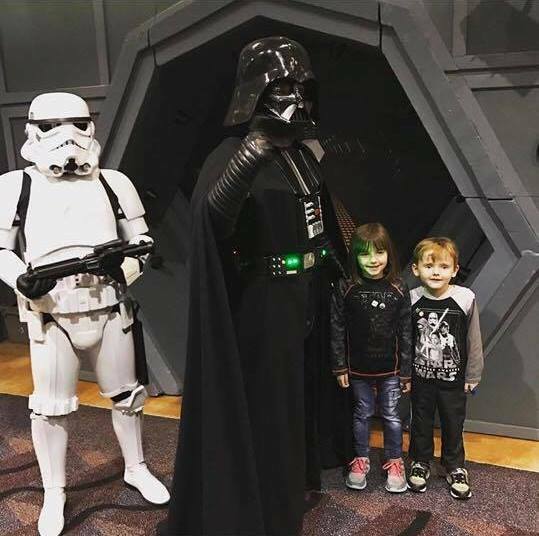 Our Stormtroopers spent a great deal of time raving over the boy’s Star Wars toys, learning that Zachary was a huge fan. Kathleen shared the request with her garrison mates and the response she received was overwhelming. 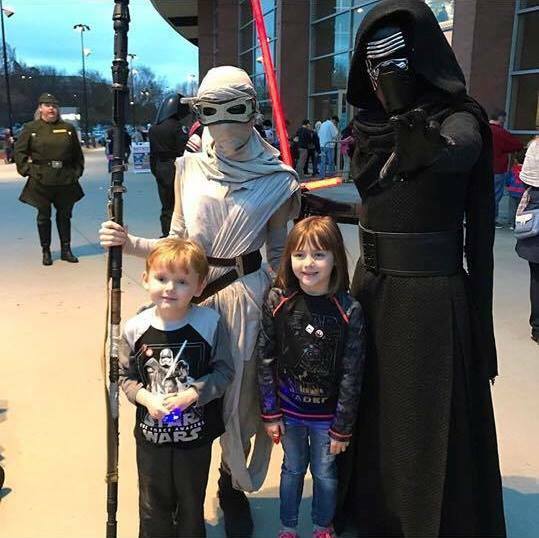 Knowing it was the Gladiators game that day, the 501st and Rebel Legion members got together and planned something quite different. 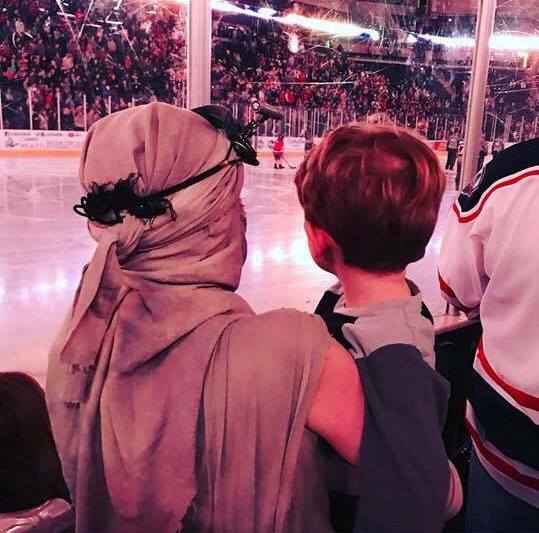 Tom Taylor (ID-18545) brought up the idea of treating the family to a VIP experience at the hockey game and our members sprung into action. 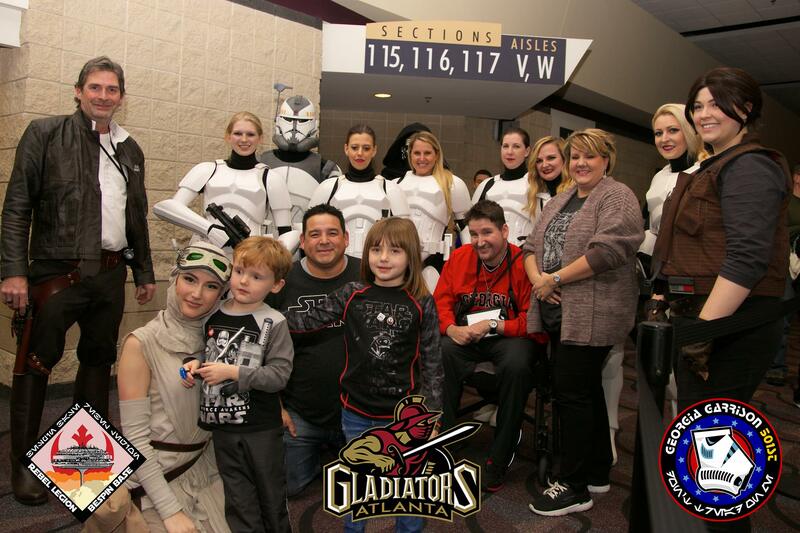 The Atlanta Gladiators secured a private suite for Zachary’s family along with a special tour of the game day activities, including watching the players take the ice. One of the players presented a Gladiators jersey to Zachary as a special surprise. 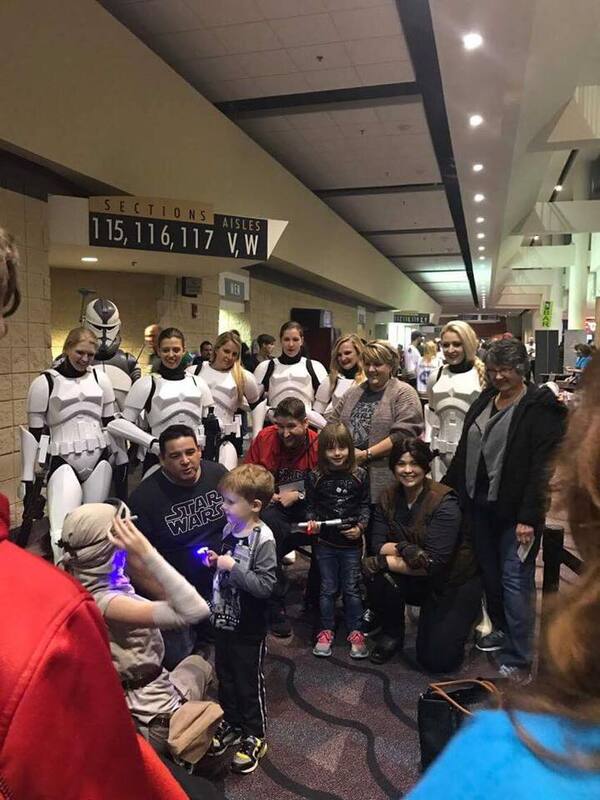 Several 501st and Rebel Legion members collected toys and gifts as birthday treats for Zachary. 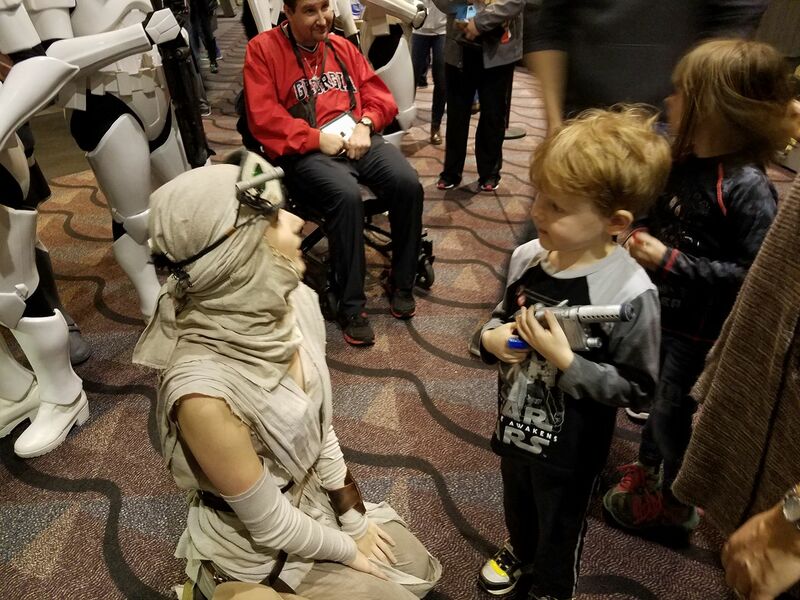 Throughout the evening many different Star Wars characters visited Zachary’s suite but we made sure that his favorite character, Rey, spent extra time with him. 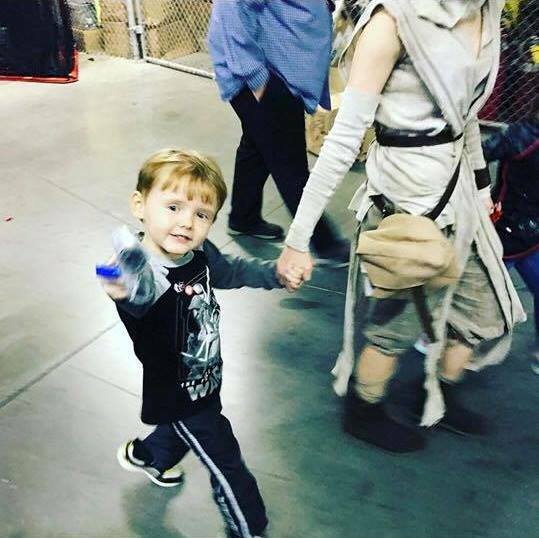 He couldn’t stop hugging her! 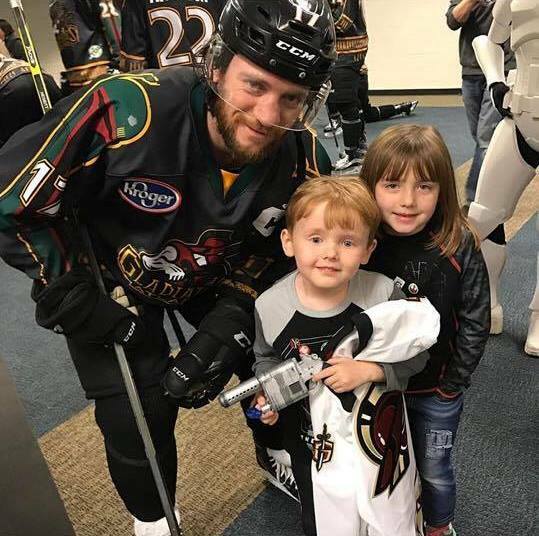 After hearing about our plans for the family, Stephanie Cutler couldn’t let the family drive a long distance home exhausted from all the birthday excitement, and was able to secure a donation from Marriott International, who provided a guest suite near the Gladiators game. The wonderful staff at Marriott helped get the room ready with birthday surprises and treated the family like royalty when they arrived. Zachary’s dad left a glowing review, expressing his own excitement and joy. “This organization is amazing! 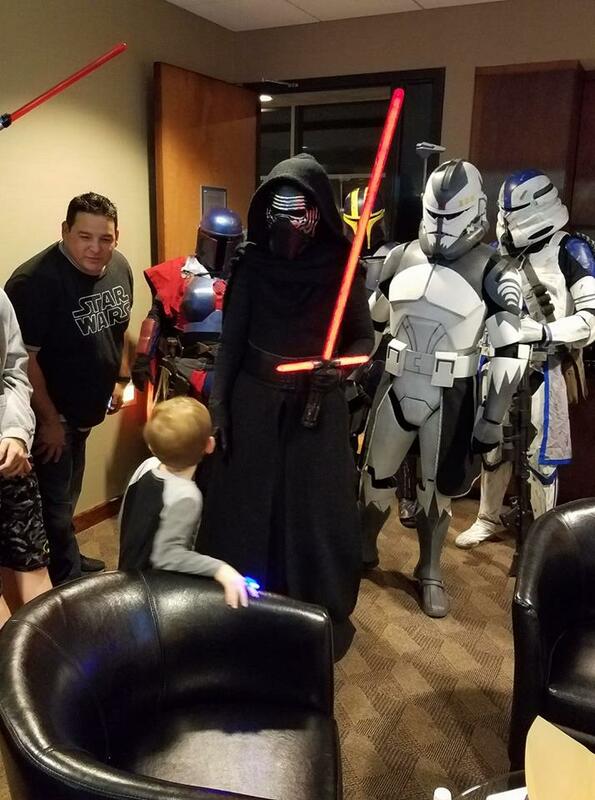 Their members showed such tremendous support for our son Zachary and made him feel so special last night at the Gladiators game and at Scottish Rite Hospital. Wow! Thank you! Thank you! Thank you! You all are very special to us.” Chris also mentioned his interest in joining our clubs, and contributing back to the community in our unique way. 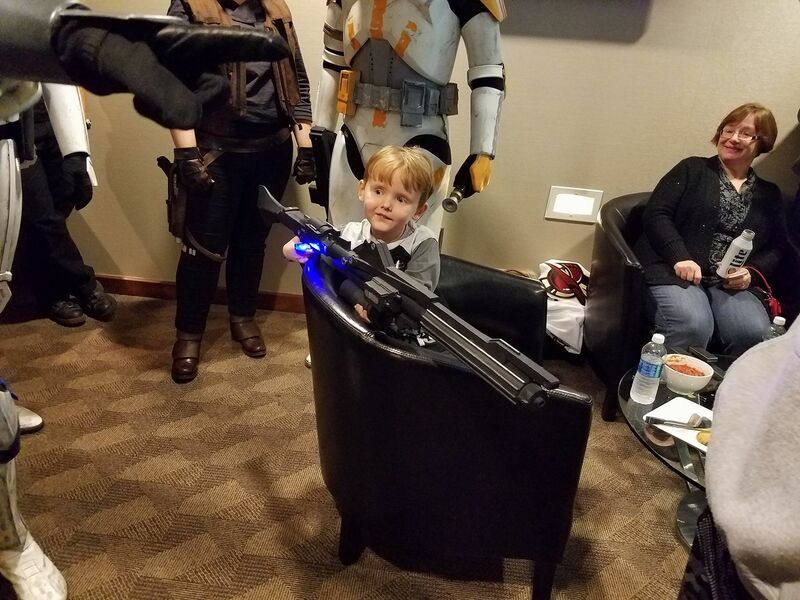 A very special thanks to Mike Dukes (IN-39393) and Caleb Cole (TS-67812) for donating and painting a 3D print of Rey’s blaster, Christi Johnson of the Atlanta Gladiators, and Stephanie Cutler of Marriott International.